I wanted Rock Band to come to the PC but uh...not like this. Sorry, let me pick my brain up off the floor and explain what’s happening. This morning, Harmonix announced a crowdfunding campaign on Fig. For Rock Band 4. For the PC. For $1.5 million. I honestly can’t tell if this is a way for Harmonix to gauge interest or an actual financial ask due to rumors of unimpressive Rock Band 4 console sales. Maybe a bit of both. 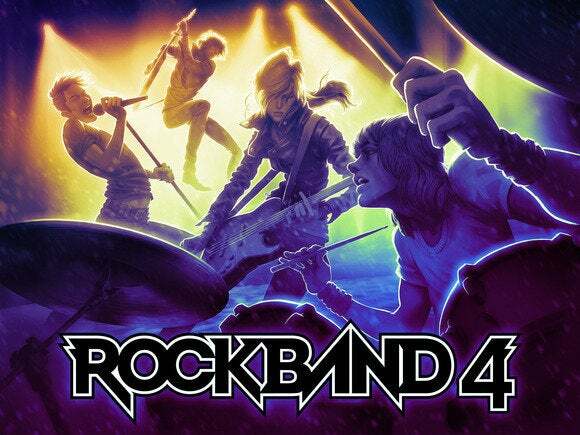 “This past October, we released Rock Band 4 for the consoles—the first new Rock Band release in 5 years. This was a massive undertaking for us as an indie studio, but we somehow pulled it off. But since the very first Rock Band release on Xbox 360 and PlayStation 3 back in November 2007, there is something we keep getting requests for, something we’ve never had in the series’ eight year history... a version of Rock Band for PC! Some caveats: There is currently no support for Xbox One instruments on the PC, though Harmonix says they’re trying to make it happen. Xbox 360 instruments are similarly janky, requiring Harmonix to write drivers apparently. And none of your DLC carries over. “Just like DLC on one console platform isn’t playable or transferrable to the other console platform, PC is also considered a separate platform and will not inherit any previous purchases.” Nor will you, presumably, ever be able to import songs from Rock Band through Rock Band 3, given that those games never came to PC. Apparently Harmonix is targeting a fall 2016 release provided they manage to reach that lofty $1.5 million goal. We’ll keep you updated if we learn more.